InfoVaticana is a Spanish Catholic news website. The Vatican has hired a pro-homosexual law firm that has previously represented Planned Parenthood to try to force InfoVaticana to hand over its domain. The Vatican claims that because InfoVaticana uses the word “Vatican” in it, the Church has the right to control it. 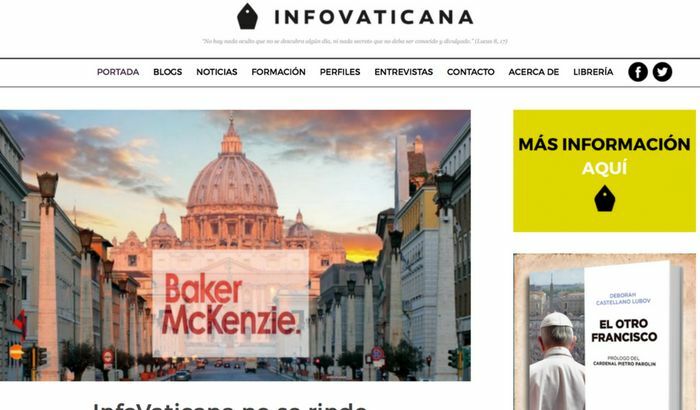 The Vatican has hired the law firm Baker & McKenzie, which, in addition to being openly supportive of homosexuality, has even represented the abortion company Planned Parenthood. The prelate behind this lawsuit? Vatican Secretary of State Cardinal Pietro Parolin, rumored to be liberals’ top pick to be the next pope. InfoVaticana publishes pro-life, pro-family, Catholic news. It’s reported on the shocking scandals that have come out of the Vatican during this pontificate: the awarding of a prominent medal to an abortion activist, homosexual tyranny and the suppression of faithful Catholic clergy, the Knights of Malta’s contraception distribution, and the disastrously confusing Amoris Laetitia, to name a few. This small news website now faces an expensive lawsuit from the “progressive” power players inside the Vatican. Catholic journalists shouldn’t be punished just for reporting what’s really going on at the Vatican! Your attempts to use a pro-homosexual, pro-abortion law firm to shut down InfoVaticana for reporting the truth is shameful! Claiming a news site that writes about the Vatican can’t even use the word “Vatican” in its name is like claiming the state of New York should sue the New York Times. It is an incredible misuse of the Church’s financial resources to engage in a vindictive lawsuit against journalists who report the truth about the Catholicism’s nearly-schismatic crisis today. Instead of punishing InfoVaticana for defending Catholic truth, you and Pope Francis should apologize for the confusion you have caused and thank the faithful Catholics at InfoVaticana for their service to the Church.